I love a good smoothie and in my household, at least one batch is made daily. If I’m in the city, I almost always get a smoothie from BOOST. My favourite is the Gym Junkie!! However, I’m glad I don’t live near a good smoothie bar because these liquid lunches can be very expensive. When in Perth, I pay approximately $7.50 a pop. If I were to buy one each day that would be $52.50 per week or $2730 per year. I’m sure there are some city slickers who ARE dishing out that kind of cash on smoothies. And better than blowing it on heroin but I am sure my homemade smoothies are much more cost effective. Buy reduced to clear items. I simply cannot pass a mark down on bananas, strawberries or yoghurt. 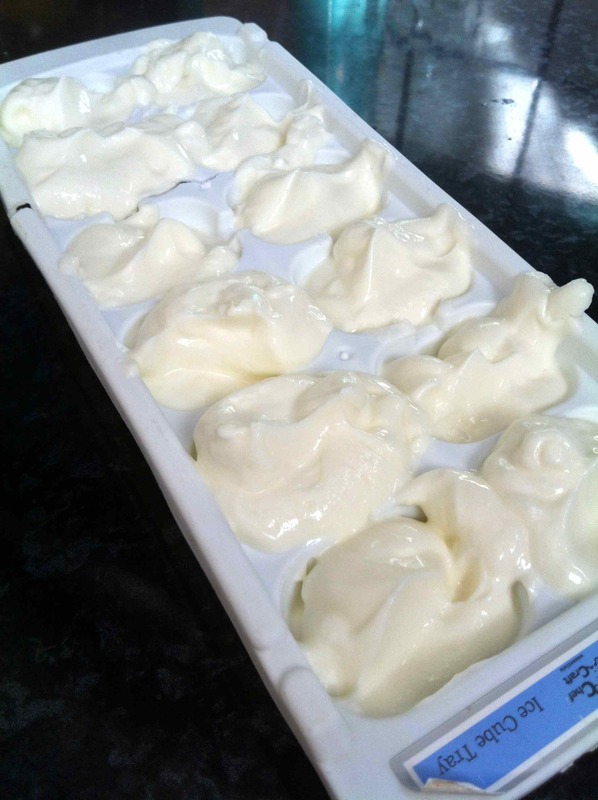 These are staple smoothie ingredients and can be frozen for later use. Frozen smoothie ingredients are better anyway. 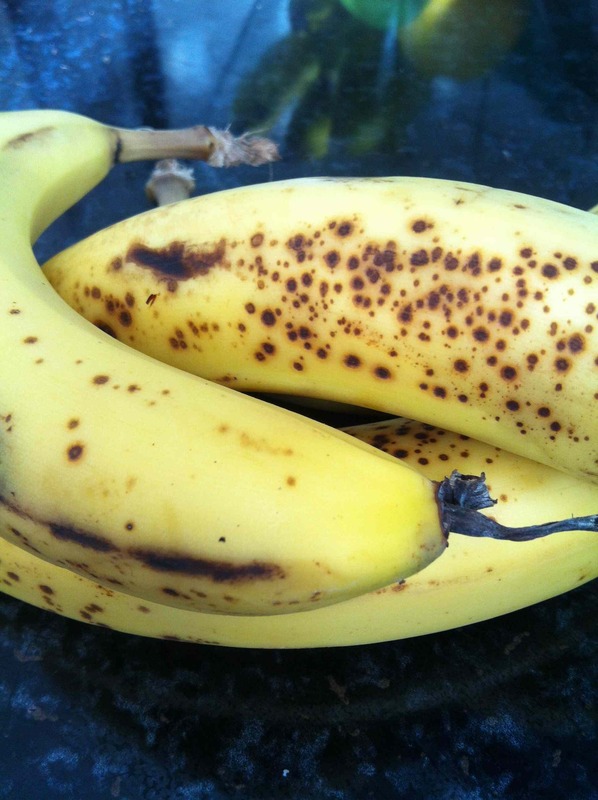 Most “spotty” bananas are perfectly fine on the inside. 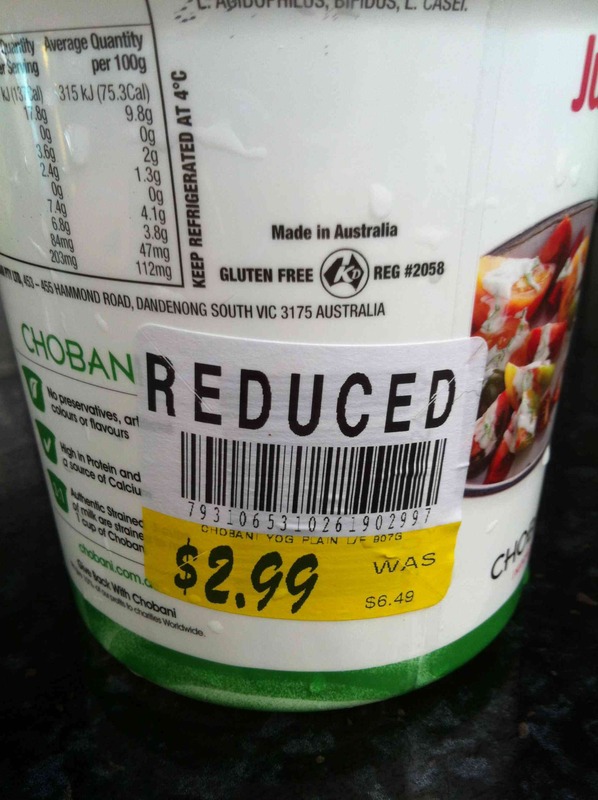 I saved $3.50 on this reduced tub of greek yoghurt. Buy UHT rice or almond milk when on sale. These pantry items will not go off so stock up! Add tins of coconut milk to the list too. Buy in bulk. 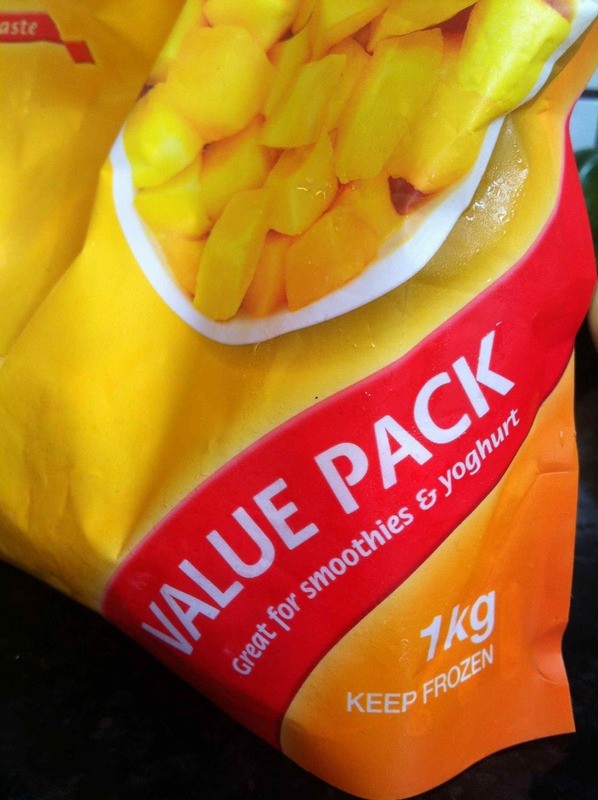 Frozen fruits and berries can be pricey so get the most for your money with bulk bags. Protein powders and chia seeds are also better bought in large quantities. Watch for online specials. I often buy health items from online shops. I love the single servings of smoothie powder from Green Smoothie Co and they do sometimes have sales! They also have just reduced the size of the portions, therefore they reduced the price too! Do you buy smoothies or make your own? What’s your favourite combo? Categories: Food, Health | Tags: budget, green smoothie company, healthy food, shopping, smoothie, smoothie powder | Permalink. So, I’m 15 days into my health kick and I’m doing well and feeling pretty good. Sure, I ate pumpkin pie 2 days in a row and some chocolate but that’s just the way I roll. Mostly though, I am enjoying eating better and saying no to alcohol. Here are my favourite top 5 healthy snacks. 5. 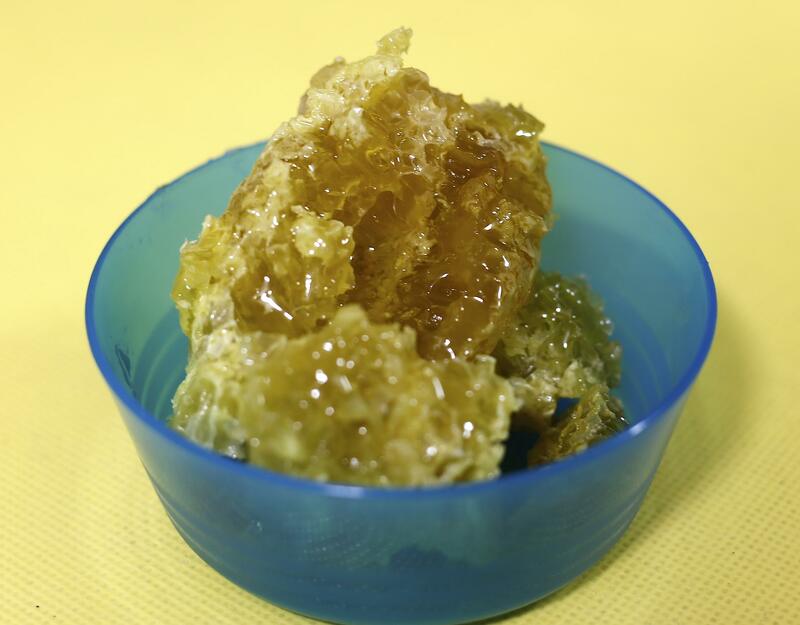 Honeycomb – loaded with enzymes and antioxidants, eating honey still in the wax is a great immune booster! Just chew the wax up and toss it when the honey is gone. Of course, I get this from my local beekeeper. One small piece daily is plenty. No added fats, oils, salt or sugar!! Gotta love that! 4. 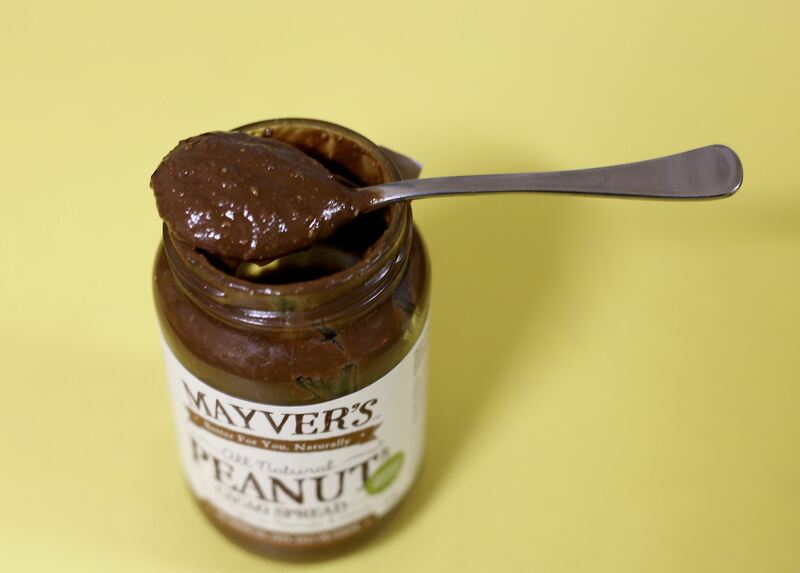 Mayver’s All Natural Peanut & Cocao Spread – This is absolutely delish and now that chocolate is considered healthy, I eat usually only eat the dark, pure stuff! Just a teaspoon of this all natural spread satisfies a chocolate craving. 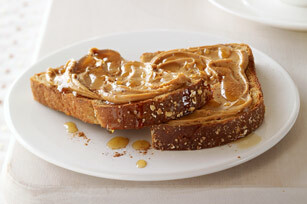 It’s also great spread on banana slices if you’re looking for something sweet. 3. 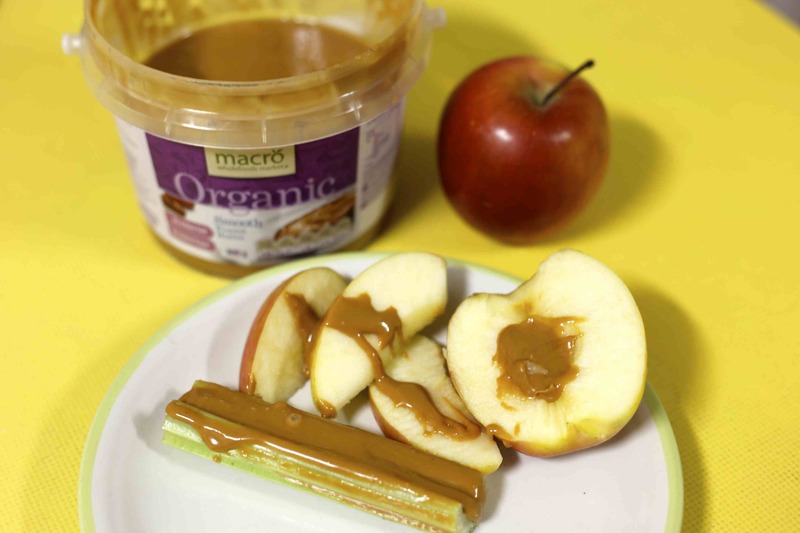 Organic peanut butter on celery or sliced apple. Nuts are a great source of protein, rich in energy and antioxidants! 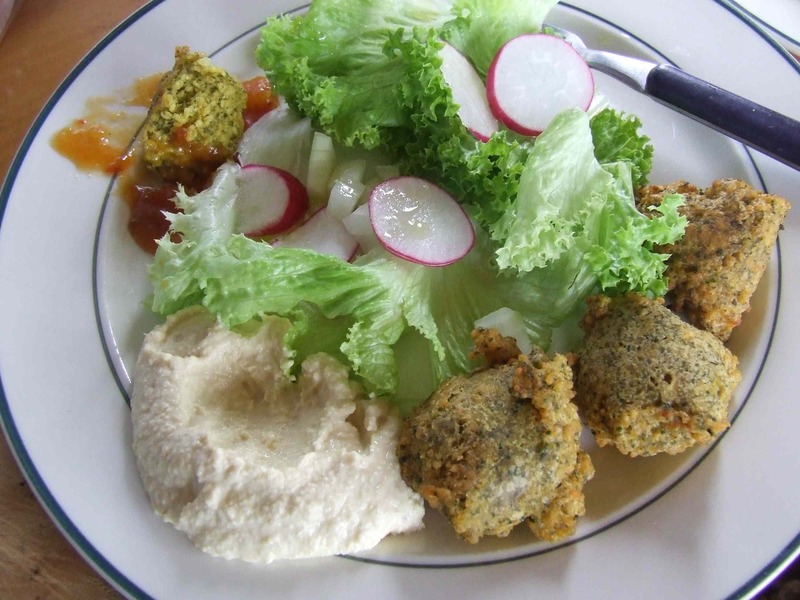 Ok, so the hummus is not with crackers or veggie sticks but this is also a great snack or meal! 2. Hummus with rice crackers or veggie sticks. Comprised of chickpeas, tahini, lemon, garlic, olive oil and spices, hummus is full of protein, calcium and omega 3 fatty acids! 1. 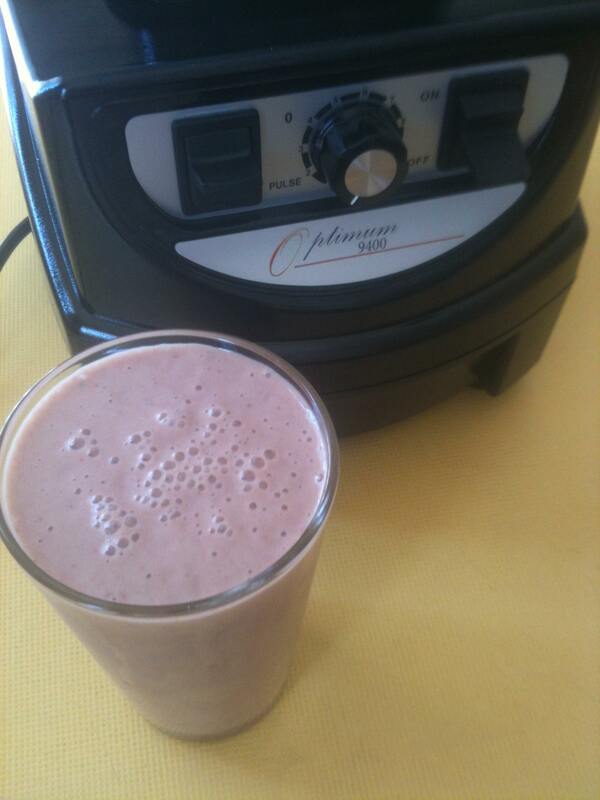 Smoothie – I’ve always loved a good smoothie after my workout. They are filling and yummy. The benefits of my smoothies are protein, probiotics, antioxidants, potassium, fibre, oleic acid, vitamin C, B vitamins, amino acids and they are quick and easy to make! Btw, it’s Kai Chronicles’s 2nd birthday today! WordPress sent me this in honour. Categories: Food, Health, Recipes, Wellbeing | Tags: antioxidants, birthday, easy healthy snacks, gluten free, health kick, healthy food, healthy snacks, honeycomb, organic food, peanut butter, smoothie recipe | Permalink. As April 1st looms, I am considering my choices. I know I have to restrict my diet again. I know wheat & gluten especially are making me ill and pooing all over my life. I know that I am being lazy and unmotivated, in my health and writing. I know I feel soooo much better when I exercise daily and eat very little complex carbs. 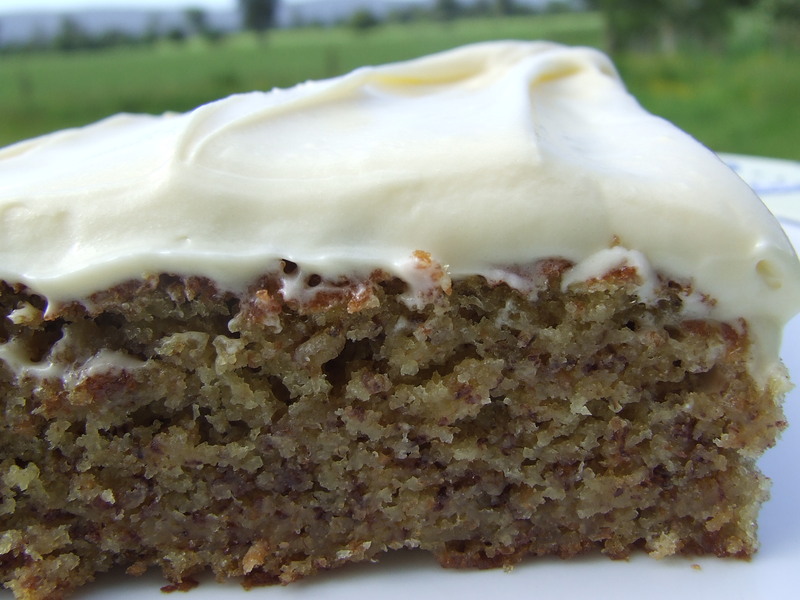 I know I love a nice piece of cake or a really great muffin. And chocolate…goodness me, I love chocolate. I know I don’t want to live without these things. I know that if I restrict them, I will only want them even more in a month or two. I know that my past “diets” have been successful for short periods only. I know I need to make it a lasting lifestyle change. But how? I don’t want to be a martyr but I do want to look and feel good great. The older I get, the wiser I become. I know myself fairly well these days. 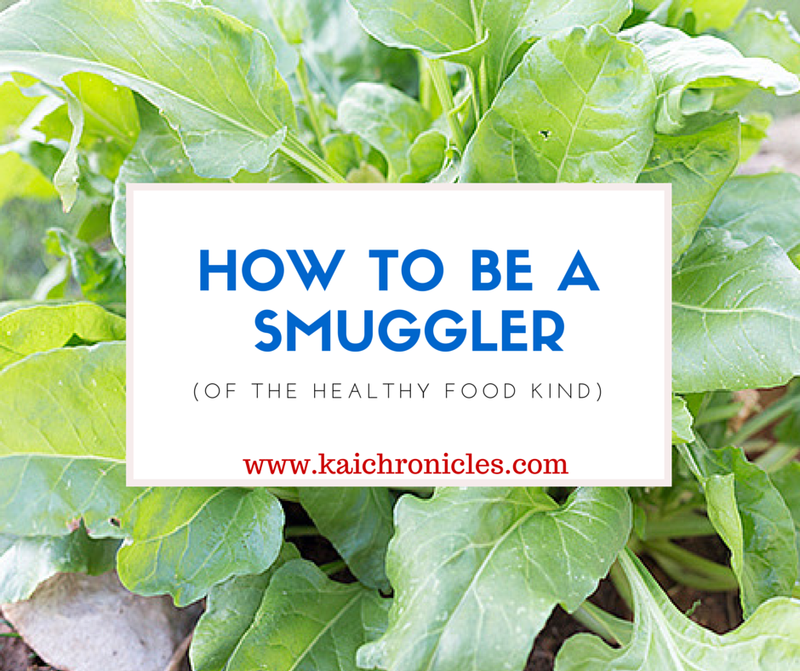 Restricting all will only last a short time, this I already know so I’ve come up with some tips for myself (and maybe for you) to ensure my success and good health. Write down goals, dreams and desires for yourself. Post them where you will view daily. Make the commitment: Be true to yourself and fight (yourself) for a better life and way of living. Read and watch: Anything and everything that will motivate & inspire you to stick to your goals. This may need to be done daily!! Delay gratification: We live in a ‘I WANT IT NOW’ society and maybe that is why we are all so spoilt. Hard work, patience and determination deserves reward, nothing less. Celebrate your wins: Preferably not with something you are restricting!! Choose a treat that will enhance your wellbeing: a massage, a day at the beach, a long walk or snuggle down with a book or your favourite TV show. If it makes you feel good, keep doing it. If it makes you feel bad, stop doing it. Sounds simple, eh? Set aside time for quiet: meditation, reading, journal writing, a hot bath. Choose a time when you are guaranteed silence to just be. Be grateful for what you have: Being thankful for everything in your life, the good and the bad will turn every experience into a lesson, not a drama-filled crisis. Step out of your comfort zone: Do something that you have always been too afraid to do. This is a great way to boost confidence that will spill over to many areas of your life. Take a day off each week: Have one free day with no rules, restrictions or boundaries. If your one day turns into two, then three….you’ll have to start over from the beginning again. I’m loving #10. I have decided that Sunday, the traditional day of rest will be my day off. It doesn’t mean that I will eat everything in the house or not exercise even if I feel like it. It means I will have a day to sleep-in, relax, be more casual with myself. I’m confident that these guidelines will be the way to a positive, life-long solution instead of the constant see-saw I have been living on for the past 8+ years. Life is hard sometimes but often, we make it harder than it has to be. My goal is to have a happy family, stress-free career, care-free lifestyle, healthy and fit body and a creative mind. I’m nearly there…I’m so close to it. Any.Day.Now. 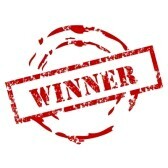 On my next big win (selling an article) I am booking myself in for a massage. What are your favourite ways to celebrate a victory? Categories: Fitness, Food, Health, Wellbeing | Tags: commitment, guidelines to success, healthy food | Permalink. My regular WWW pic wouldn’t load today..guess I’m meant to use this one. I almost consider Wednesday to be a “day off”. I usually don’t schedule too much and never get bogged down with details. Today, I submitted an article – 2 days before deadline (yes!) and submitted a pitch to a new (for me) national health magazine. And all that is great but what I really loved the most was baking. Today I made chocolate-banana muffins, muesli bars and gluten-free almond biscotti. Even though I need to eat some gluten daily, I like having gluten-free food. I did try a muffin and a muesli bar – they’re both delish but it’s the GF biscotti that’s working for me this Wednesday! 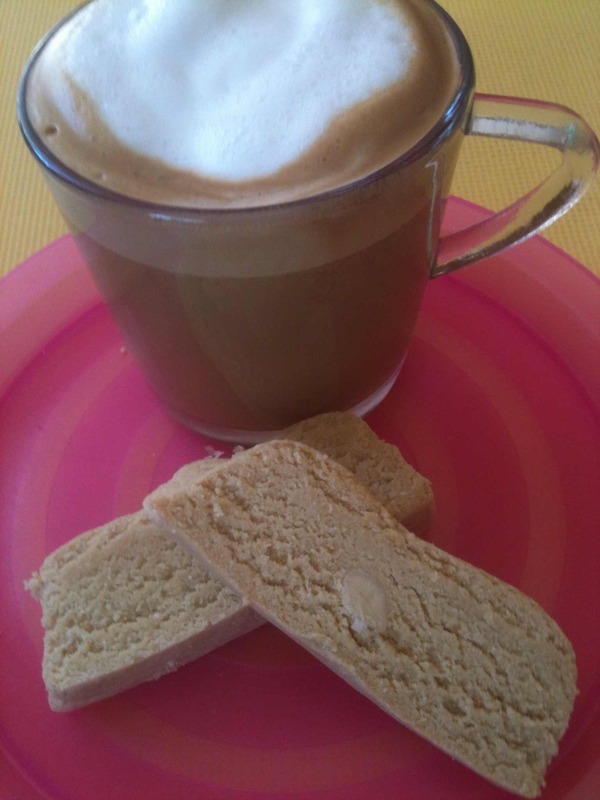 I’m not even big on biscotti but I love my coffee and the two go hand in hand. 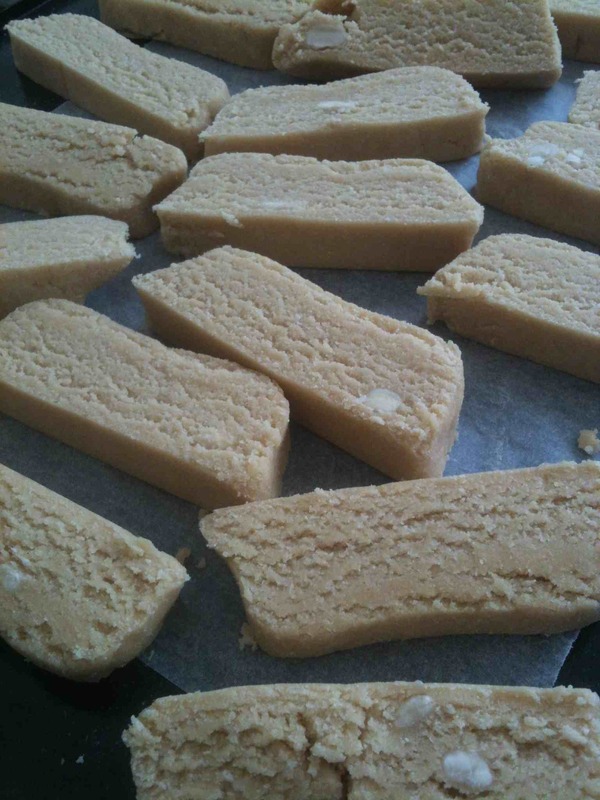 This biscotti has been adapted from a recipe I picked up somewhere along my travels. I suited it to what I had so that is what I will present. I like to mix things up and I alter recipes all the time. So, here’s my own version of GF Almond Biscotti. Enjoy with a good espresso or latte. 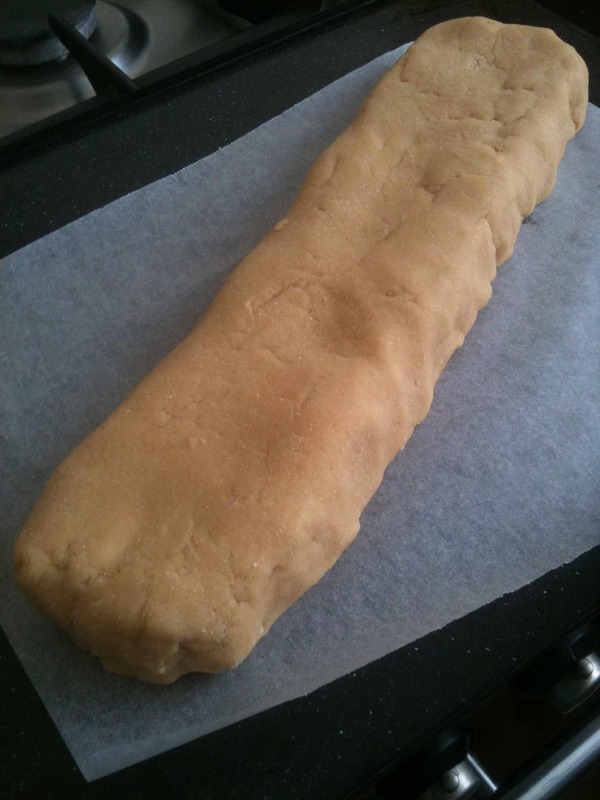 Return to oven and dry out – when hard, they are ready. I left the oven on 160 for 20-30 minutes then turned off and left them in there to dry out. That seemed to work but they were a little soft in the middle so more time could be given. Hope that recipe works for someone else!! Categories: Food, Health | Tags: baking, GF Almond Biscotti, gluten free, Goethe quote, healthy food, homemade, what's working for me Wednesday | Permalink.